We offer a wide variety of customized furniture that will go great in your home or log cabin. Standard woods we work with are Black Cherry, Black Walnut, Red Cedar, Wormy (Ambrosia) Maple, Southern Red Oak, White Oak and Holly. Inlays are also included, normally these will have color characteristics which are in contrast to the primary wood, such as Black Walnut with Holly inlays. Keep in mind, if our standard woods don’t work for you then contact us today and tell us what does. For more ideas on types of woods you can use check out the Wood Database. Tell us the dimensions that you need and the specific species of wood you want for your home décor. Personally, we like to keep the natural look of the wood, however if you wish to have it stained a certain color we can do this too. We will need hardware specifics for certain types of furniture, such as latches, knobs and handles. Once you have contacted us, we will sketch each piece of furniture that you request. Dimensions, wood thickness is included. This helps us to translate your needs into reality. In most cases we will have to special order hardware or lumber you request. 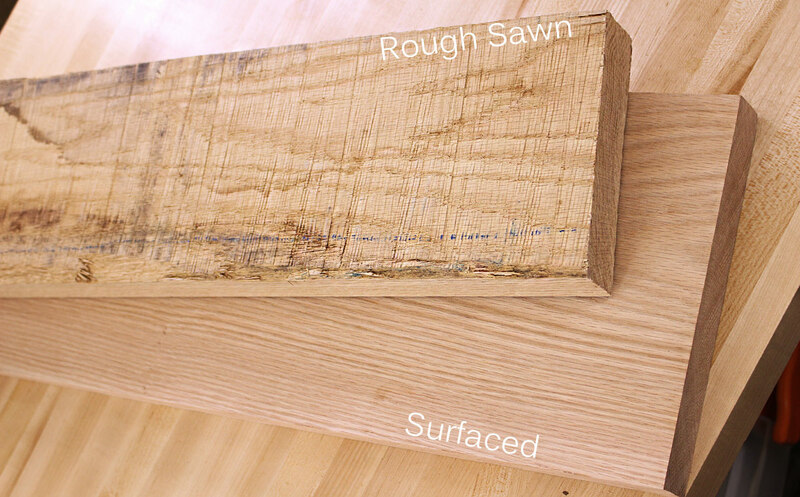 Lumber is hand selected in rough sawn form, which is planed in preparation to assemble your products. Depending on the specifics of your order, some items may take longer to obtain than others. During the construction process, we will send images of your custom furniture along the way. This is the final stage which is preserving the piece as well as adding stain per customer request. We use at least 5 coats urethane to preserve the natural look of the wood. Due to the drying times of urethane, this step can take up to a week. Shipping custom furniture is not easy. In most cases we have to ship all custom furniture through custom delivery options via UPS or FedEx, in some cases freight which is not cheap. However, we can successfully ship to the lower 48 states. In order to ensure our products make it to you safely we custom build shipping crates using thick plywood and framing support (2×4 or 4×4 lumber).